Gatco Backpacker 2-Stone Sharpening System Black by Sportsman Supply Inc. The Ultimate precision knife sharpening system. Exclusive knife clamp/angle guide insures knives can be sharpened at the perfect angle every time. 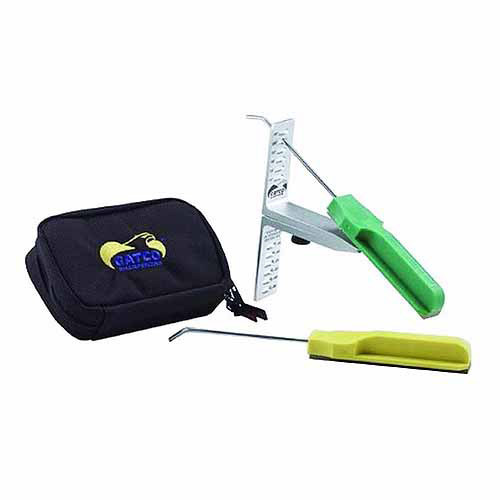 System includes: coarse and medium aluminum oxide sharpening hones, knife clamp/angle guide, instructions and compact storage case. Sharpens all plain edged knives. Made in USA, instructions included.